Suncast's Deluxe Hose Hangout<sup></sup> hose reel provides convenient, wall mounted storage for your garden hose. Sturdy resin construction makes it durable and easy to maintain. 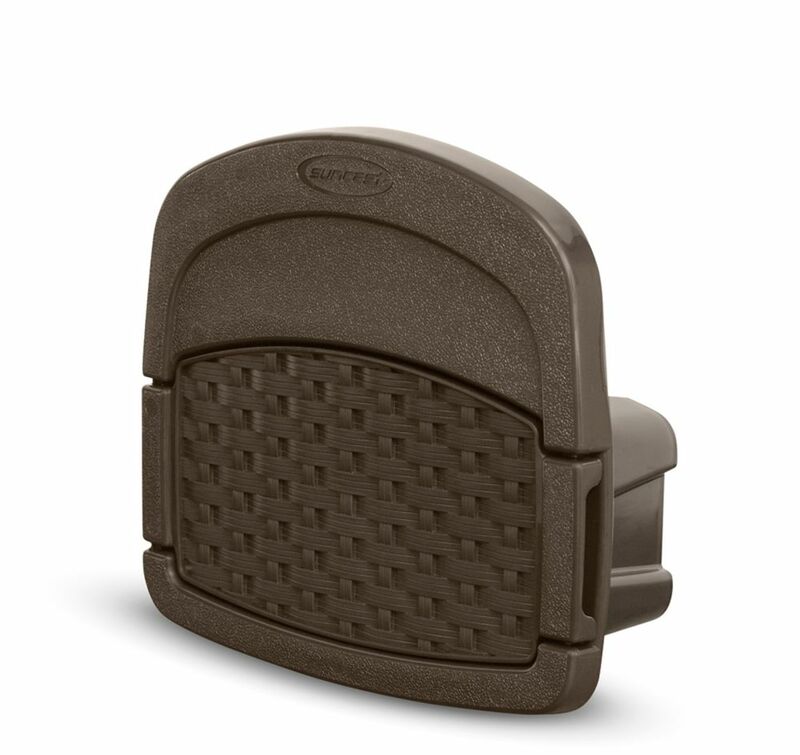 This Suncast hose hideaway is the perfect complement to any backyard dicor. The Slide Trak hose guide helps distribute the hose evenly onto the reel and makes winding easier. Attractive design fully conceals the hose. Perfect for Indoor or Outdoor Use:This 15 foot garden hose is great for use around your home, garden or RV. It connects to most standard spigots and can be used for both indoor and outdoor tasks.Extend the Length of a Standard Hose:This flexible yet durable leader garden hose will fit almost any standard hose reel, so you can use it to connect your garden hose to a spigot or for other hard to reach places that a standard hose cannot connect to.Lightweight and Portable:A great utility hose to have around, this lightweight, portable, and sturdy hose is ready for any project. Made with a patented new material, the 50 ft. Miracle-Gro Ultra-Light is everything you are looking for in a garden hose. Compact, lightweight and incredibly durable with a limited lifetime warranty makes it perfect for use in your small watering spaces. Proprietary compound fights kinking and lays straight with no pigtails every time. Drinking water safe and lead free, this is the perfect hose for every garden or flower bed. Resin Wicker Deluxe Hose Hangout with 150 ft. Capacity Suncast's Deluxe Hose Hangout<sup></sup> hose reel provides convenient, wall mounted storage for your garden hose. Sturdy resin construction makes it durable and easy to maintain.